JOE GALLOWAY TO BE BLACKHORSE REUNION 2008 GUEST SPEAKER! Mr. Joe Galloway, recently retired senior military correspondent for Knight Ridder Newspapers and co-author of the national bestselling book, later made into the critically acclaimed Hollywood movie We were Soldiers Once…and Young, has accepted the Blackhorse Association’s invitation to be the Blackhorse Reunion’s Guest Speaker. Come join us as Mr. Galloway recounts his experiences and shares observations garnered during a writing career spanning 42 years of military coverage. See his biography on www.blackhorse.orgopens in a new window for further details and sign up for the reunion today! Register Now for the 2008 Blackhorse Reunion-Las Vegas! Blackhorse troopers, family and friends! You are cordially invited to attend the 2008 Blackhorse Reunion-Las Vegas, Las Vegas, Nevada from 15 – 18 May 2008. Hosted by The Blackhorse Association, this reunion is open to all past and present TROOPERS who have served with the Regiment as well as their family members and guests. Please consider joining with fellow Blackhorse troopers from all eras of the Regiment’s service! Happy New Year From the Blackhorse Association! We would like to remind our Blackhorse troopers past and present that all donations made to the Scholarship Fund will be matched up to $100,000 by an anonymous donor for the next four years. Please help us reach our yearly goal so that we can continue our mission of support to our Regiment. Donations can be made by mail, phone or over the Internet. A BIG THANK YOU TO OUR 2007 DONORS! Blackhorse Association Makes Charitable Impact in 2007! – Thanks to your support , The Blackhorse Association was able to provide over $12,000 in charitable support to its Scholarship and Soldier Support Programs. – In December 2007, we provided nearly $6500 in support of the active Blackhorse Regiment at Fort Irwin for Family Readiness Groups and the Regimental Christmas Ball. – In the New Year, please remember those Blackhorse troopers who are overseas actively fighting the war on terror. 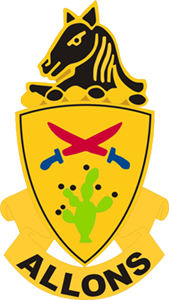 Please keep the 58 Engineer Company and all individual Blackhorse Soldiers who are currently serve on Advisory Teams in Iraq and Afghanistan in your thoughts and prayers. Further details: The 2008 Blackhorse Reunion-Las Vegas will be held at the Southpoint Hotel & Casino, 9777 Las Vegas Blvd South Las Vegas, NV 89183. Registration and all major social activities will be held at this location. Rooms have been set aside for reunion attendees at a rate of $120 per night from 15 – 18 May 2008. Registration fee is $75 for adults and $30 for children 12 and under who do not attend the banquet. This fee covers reunion mementos, hors d’oeuvres at the Friday icebreaker social, and the Saturday Banquet with wine. Attendee transportation, including airfare, rental car, and lodging must be organized separately. 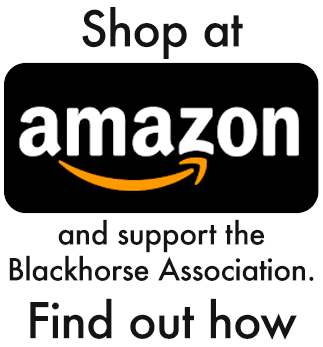 Check out the New Blackhorse Association Website! The Blackhorse Association has a new website at: www.blackhorse.orgopens in a new window Visit the website frequently for all the latest updates on the Blackhorse Regiment and its regimental association, The Blackhorse Association. Visit today and tell you Blackhorse friends and family! Come Visit the Blackhorse Association’s Sutlery Gift Shop for all your holiday needs! We carry all products Blackhorse! You can also register for this year’s reunion in Las Vegas or donate to the Association’s charitable mission through our website. Please visit our new store website for this month’s specials and our new Blackhorse inventory. Welcome New Blackhorse Association Members!